Look sleek and simply elegant in one of the simple, yet chic cocktail dresses from the Rachel Allan LBD Fall 2018 collection. 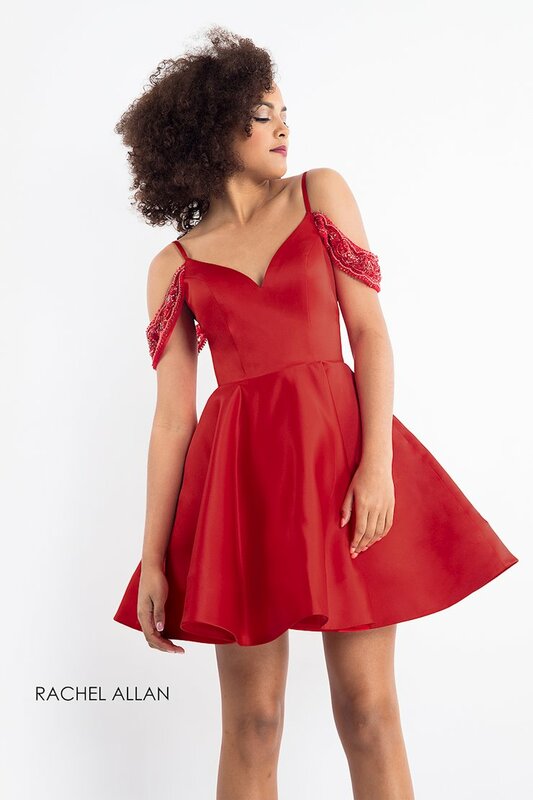 Each dress is gorgeously glam and would be perfect for any homecoming, cocktail party, or any other formal event! This collection features a diverse range of silhouettes and styles, and each dress comes in red, white and black. Book an appointment and visit Regiss in Bowling Green, Owensboro, Glasgow and Lousville, Kentucky to browse even more beautiful homecoming dresses and find your dream party gown today!